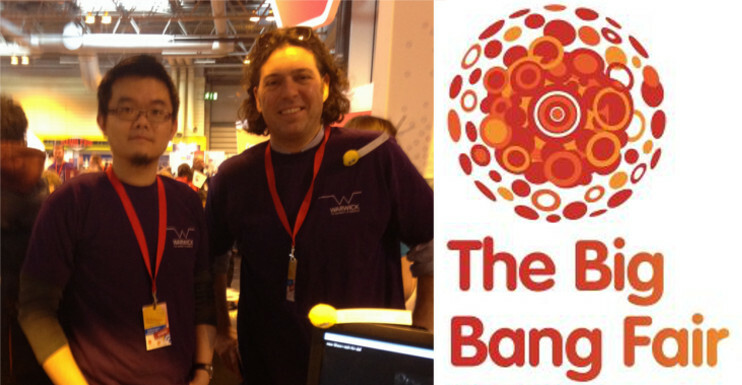 WISB was part of the University of Warwick’s Faculty of Science stand at the Big Bang UK Young Scientists & Engineers Fair, 16-19 March 2016. Held at the NEC, The Big Bang Fair is an award-winning combination of exciting theatre shows, interactive workshops and exhibits, as well careers information from Science Technology Engineering and Maths (STEM) professionals. Alongside University of Warwick staff and students from Physics, Life Sciences, Engineering and Chemistry, WISB members have been at the Big Bang Fair talking to children, young people, parents and teachers about the fascinating life of a slime mold. Visitors were able to view the slime mold under a microscope and see how its external memory enables it to respond to light, heat, gravity and chemical (food) stimuli. It’s so adept at finding food, it will even solve a maze to reach a target nutrient! Our stand volunteers also gave out more than 100 ‘grow your own’ kits to schools so that they can set up their own experiments to test the slime mold’s external memory abilities.